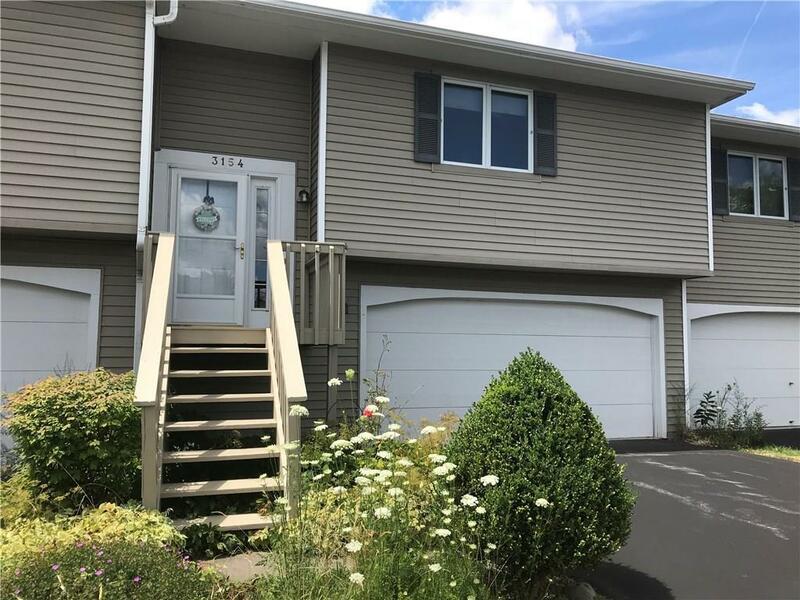 TOWN OF CANANDAIGUA TOWNHOUSE WITH EASY ACCESS TO THE CITY, HOSPITAL AND SHOPPING. AMENITIES INCLUDE AN OPEN FLOOR PLAN - LIVING ROOM WITH FIREPLACE, DINING AND KITCHEN. TWO BEDROOMS, ONE BATH ON UPPER LEVEL. POSSIBLE THIRD BEDROOM WITH FULL BATH ON GROUND LEVEL OR MAKE IT A LARGE FAMILY ROOM. SLIDING GLASS DOOR TO DECK FROM LIVING ROOM. SOME HARDWOOD FLOORS. TWO CAR GARAGE. TWO PETS ALLOWED. Directions To Property: From Main Street Turn Right Onto Parrish St. Turn Right At West Street. Left Onto Springbush Drive.